the pulsations and remove pressure variations on the discharge of the pump. when the liquid pressure falls in the piping system, the pulsation dampener supply extra pressure to the discharge between the pump strokes by displacing liquid by means of diaphragm movement. This pumping action created by the dampener, decreases the pressure variations and pulsations. 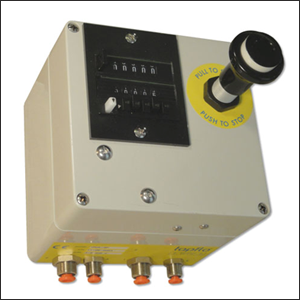 The level control is small, effective & extremely simple to install and use. This ingenious system is operated with pneumatic components only. 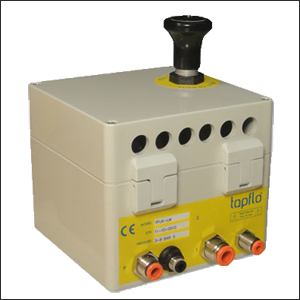 The level control may be installed in sumps, tanks or tubs to start (automatic with TPUK-LA or manual with TPUK-LM) and automatic stop the pump at certain liquid levels. 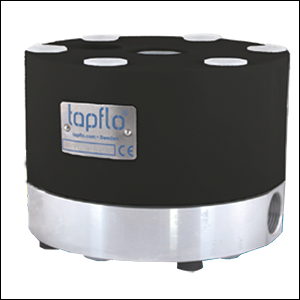 The pneumatic batcher can control any Tapflo AODD pump to produce accurate and repeatable dispensed volumes. Fully programmable allowing you to set the batch amount (TPUK-BP) or batch time (TPUK-BT). 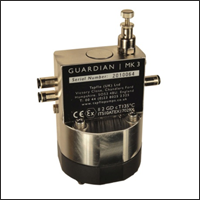 Available also with internal mounted control to prevent unintentionally adjustments. 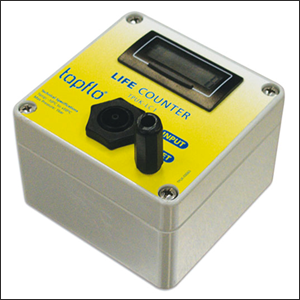 Tapflo's life counter simply connects to the AODD pump air exhaust, representing the strokes on the LCD display. Compact, easy to use and cost effective this simple system will allow you to control servicing and implement a preventative maintenance routine. TPUK-LC must be combined with muffler type TPUK-MU.